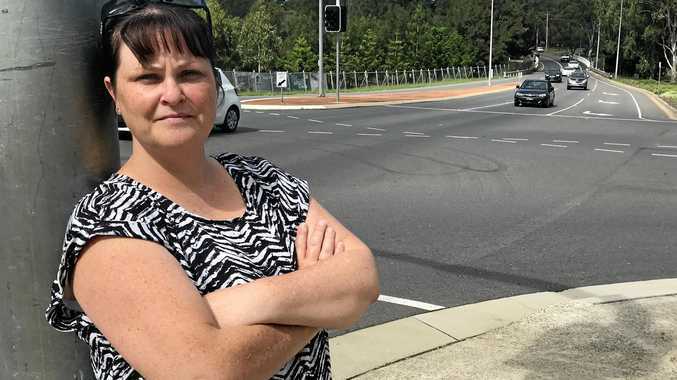 A MOTHER who almost hit several students who dashed in front of her car outside an Ipswich high school has called for better road safety education for kids. Bridie Stewart was driving on Warwick Rd past Bremer State High last week when three students, two boys and a girl, ran in front of her car. She said the young students, believed to be in years 7 or 9, were playing chicken and trying to get as close to traffic as possible. "They were laughing their little heads off that I'd slammed my foot on the brake and beeped the horn," she said. "I just about had a heart attack, I was so fearful and my heart was racing. "My nerves were absolutely shot for hours afterwards." Ms Stewart said often students would leave the school and dart across the busy four-lane road to the Caltex Service Station. The traffic lights allow for pedestrians to cross, but she said many students favoured dodging cars and running to the median strip. After narrowly avoiding a tragedy, Ms Stewart slammed the school and students' actions, posting her experience on Facebook. It drew dozens of responses from parents expressing similar incidents outside the school. The mother, who has two children at Bremer State High, said the school and parents needed to do more. "I posted on Facebook about it asking people to educate their kids and teach them that playing chicken is not funny," she said. 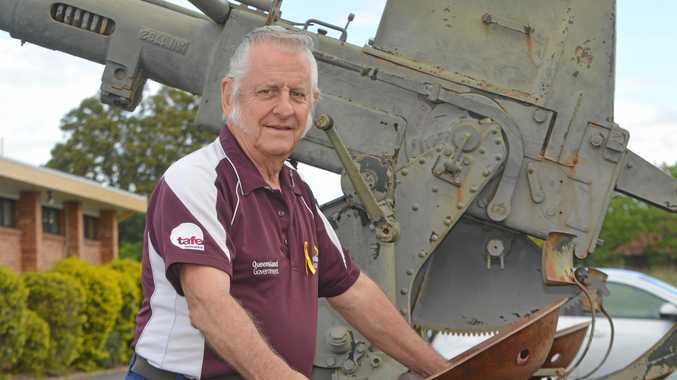 "They think they're bloody invincible and if I hit them then that's my fault. "I don't drink alcohol but gee I needed a stiff drink afterwards." Ms Stewart called for Bremer State High to do more and ensure students' were behaving before and after school. "You only need one or two teachers out here supervising," she said. Ms Stewart said when she attended Rosewood High School in 1993, a teacher followed students going between the school and train station to keep them out of mischief. "She used to heard us like cattle," Ms Stewart said. "None of us got into trouble and it stopped any of us from doing anything stupid." Comment has been sought from the Department of Education.